FileBot 4.6 is out! Get it here! This is a new major release brings lots of improvements in almost all aspects. It'll run smoother than ever! FileBot Node 0.1.5 is out! Check it out here! 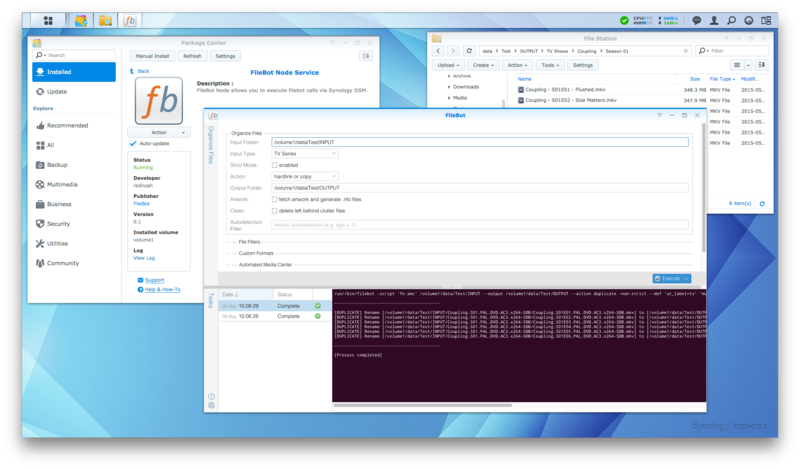 FileBot Node is a new client/server tool that'll allow you to easily run filebot commands on remote machines. FileBot 4.6.1 is out! Get it here! This is a new minor release brings lots of improvements in almost all aspects. It'll run smoother than ever! Also, there's the new Presets feature that'll help you automate some repetitive tasks.